Each year the Catalysis Club of Philadelphia recognizes an outstanding member of the catalysis community, who has made significant contributions to the advancement of Catalysis. Such advancement can be scientific, technological, or in organization leadership. The Award consists of a plaque and a $1000 cash prize. We appreciate your help in submitting nominations. The entire nomination package, including a resume and recommendation letters, should not be more than 10 pages and should include a ½ page tentative award announcement. The deadline for the receipt of nominations is April 19, 2013. Prior nomination packages sent in 2011 or later will automatically be considered for the 2013 Award. Nomination letter along with supporting materials should be emailed to fedeyjm@jmusa.com. Published on January 28, 2013 . Posted in News. 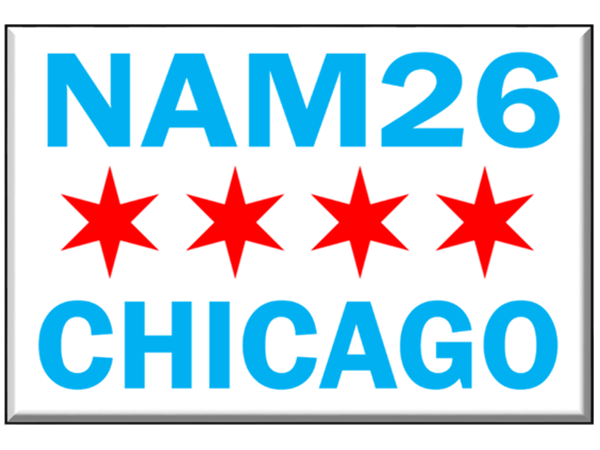 The Award will be presented at the 2013 Catalysis Club of Chicago Spring Symposium and consists of a plaque, a cash award of $1,000 and reimbursement for travel and lodging as a plenary speaker at the Spring Symposium. Deadline for nomination is February 28, 2013. Nomination should describe the specific work for which the nominee should be recognized. Complete curriculum vitae with letters of support for the nominee must be included in the nomination, together with the description of work. Published on January 25, 2013 . Posted in News. Professor László Guczi a widely known and respected scientist passed away on 20th December 2012 after a long battle with illness. He showed us what a classic scholar is like: professional, knowledgeable, patient and kind. László Guczi was born on 23th March 1932 in Szeged, Hungary. As a youngster he was a talented violin player and planned to become a musician. Luckily for the catalysis community he accepted the arguments of his mother and enrolled at the University of Szeged. He graduated with an MSc degree in chemistry in 1959 and started his career in the Isotope Laboratory of the Research Institute of Soil Science and Agrochemistry, Hungarian Academy of Sciences. He was involved in the study of the interaction of alkyl iodides with carbon and red phosphorous using the differential isotope method. H-D and H-T exchange. In this period he spent one year in 1964/65 as post doctoral fellow at the University of Sheffield with Professor J.V. Tyrrell. He received the degree of “Candidate of Science” and “Doctor of Science” from the Hungarian Academy of Science in 1968 and 1976, respectively. In 1976 he established the Research Group on Catalysis. He developed the “Double Labeling Method” and applied it in the study of the mechanism of the selective hydrogenation of acetylene and butadiene. Together with Professor Tétényi and Professor Paál he received the Hungarian State Prize in 1983 for the development of the principle of the “catalytic system”. The essence of this principle is that the catalyst and the substrates together form the “active sites” acting not as static formations but change continuously during the life of the catalyst. He initiated study of the structure-activity relationship applying highly dispersed supported metal catalysts. At the beginning, Fe, Ru and FeRu bimetallic carbonyl clusters as catalyst precursors were studied in the Fisher-Tropsch reaction. He introduced Mössbauer spectroscopy for in situ characterization of the catalysts. Based on this research he was invited as plenary speaker to the 9th ICC in 1988 to give a talk about cluster catalysis. Later on he extended the research to interfacial chemistry in model catalysts to define the surface species at molecular level and their influence on the activity and selectivity, electron properties of nanoparticles, genesis of bimetallic particles geometrically confined in zeolite cage, role of bimetallic catalysts in deNOx, in CO hydrogenation/oxidation and methane activation to form hydrocarbons. In 1993, he was awarded by Republic’s Order Officer Cross. In the last two decades he turned to the catalysis by gold. He was especially devoted to study of the interaction of gold with promoting oxides applying nanodispersed systems prepared by colloidal methods and model systems prepared by physical methods. For all this research he was eager to equip his laboratory with sophisticated and up-to-date techniques such as XPS, FT-IR, STM and SFG (Sum Frequency Generation). He undoubtedly played a pioneering role in establishing these methodologies in the Hungarian scientific culture. He was an extraordinary and a highly talented person, who was excellent in building contacts and organizing scientific co-operations worldwide. László was like an ambassador for the Hungarian catalysis community. He received recognition all over the world, which was evidenced by the special issues published in Applied Catalysis A and Topics in Catalysis on the occasions of his 70th and 80th birthday, respectively. He published over 400 research papers, 12 books and chapters, presented about 430 lectures (out of these 34 plenary or invited ones). He supervised 22 PhD students, some of them from abroad. All of László’s students got post doctoral position at highly respected universities by his help. He was a professor at the University of Szeged and the Budapest University of Technology and Economics. He was a visiting professor at Worcester Polytechnic Institute, USA; The Rijks University, Leiden; University of Pittsburgh, USA; Lawrence Berkeley Laboratory, USA; P&M Curie University, France; Schuit Institute of Catalysis, The Netherlands. He served as regional editor for Applied Catalysis in 1980-2006. He was also on the advisory board of Catalysis Today and Reaction Kinetics and Catalysis Letters. He played major role in organizing the 10th ICC in Budapest in 1992 and the 8th International Symposium on Relation between Homogeneous and Heterogeneous Catalysis at Lake Balaton in 1995. In private life László was a loving husband, father and grandfather. He was an excellent cook who enjoyed entertaining his friends and co-workers in his house at Érd, in the suburb of Budapest. During his life, classical music remained his passion. We all admired his devotion to the science, his unlimited energy, and enjoyed his sense of humor and charm. We will greatly miss him. Obituary prepared by Zoltán Schay. Published on January 25, 2013 . Posted in News and tagged Obituary. James Robert Katzer, former professor of chemical engineering and vice-president of technology for Mobil Oil Corporation, died in Marshalltown, IA on November 2, 2012. He was 71. Katzer was internationally respected for his expertise and major contributions to energy technologies and policy. Jim Katzer built a career as a highly respected researcher and manager in the areas of catalytic science and in the analysis of technical issues related to the production of high quality fuels. Jim was a co-author, along with George C. A. Schuit and Bruce C. Gates of The Chemistry of Catalytic Processes, published by McGraw Hill in 1978. During his career, he authored or co-authored more than 80 technical articles and 6 U.S. Patents. Jim graduated from Iowa State with a degree in chemical engineering in 1964. He received his Sc.D. from MIT in the same discipline in 1969, and then immediately joined the University of Delaware as an assistant professor of chemical engineering. He was instrumental in founding the university’s Center for Catalytic Science and Technology, attracting more than $800,000 in new research funding in its first year. Together with Professor Bruce Gates, Jim established one of the first collaborative industry –academic centers of its kind. He served as its first director. By 1980, the Center listed 23 companies as members and had a total research budget of $1.8 million. Jim was promoted to full professor in Delaware’s Department of Chemical Engineering in 1978. In 1981, Jim moved to Mobil Oil Corporation’s Central Research Laboratory in Princeton, NJ as manager of CRL’s catalyst section. He advanced in management at Mobil, holding positions of Division Manger of Process R&D and Vice President of Planning for Research and Engineering. In 1997, he was appointed Vice President for Technology. With the merger of Mobil and Exxon in 1999, Jim became Manager of Planning and Portfolio Analysis for ExxonMobil Research and Engineering Company. He retired from ExxonMobil Research and Engineering Company in 2004. In recognition of his contributions to catalysis and reaction engineering research and commercialization of catalytic processes, Jim was elected to the National Academy of Engineering in 1998. In 2001 he was awarded the Marston Medal, Iowa State University’s highest honor for a graduate from its College of Engineering. From 2006 to 2010 Jim was member of 4 significant National Research Council studies on Transitions in Transportation, which helped define a strategy for the US’s energy future. He served as a visiting scientist for MIT’s Laboratory for Energy and the Environment from 2004 until 2007, where he was the Executive Director of the MIT Future of Coal study. At the time of his death, he was an affiliate professor, a member of the advisory board for Iowa State University’s Department of Chemical and Biological Engineering, and a member of the Technical Advisory Board for the China National Institute for Clean and Low-Carbon Fuels. He was also a member of the Technical Advisory Board for Rive Technology and a member of the Cosmos Club of Washington, D.C. In his free time, he enjoyed sailing and gardening. Jim is survived by his wife of 32 years, Isabelle (McGregor) Katzer; his mother, Velma Sheller; son, Robert James, MD (Jenni) Katzer, and granddaughter, Autumn Elizabeth Katzer; daughter, Anne Louise Katzer; brothers, Wayne Katzer and Ken (Sharon) Katzer; and sister, JoAnn Katzer. Published on January 14, 2013 . Posted in News and tagged Obituary. We are pleased to announce that Prof. Jens K. Norskov of the Department of Chemical Engineering and the SLAC National Accelerator Laboratory at Stanford University is the recipient of the 2013 Michel Boudart Award for the Advancement catalysis. The Award is sponsored by the Haldor Topsøe Company and is administered jointly by the NACS and the EFCATS. More information on this award and the award process can be found in the Awards folder of the NACS home page www.nacatsoc.org. The Michel Boudart Award for the Advancement catalysis is given in recognition of individual contributions to the elucidation of the mechanism and active sites involved in catalytic phenomena and to the development of new methods or concepts that advance the understanding and/or practice of heterogeneous catalysis. The Award selection process will emphasize accomplishments and contributions published within the five preceding years. The award recognizes Professor Jens K. Norkskov for his pioneering work on understanding trends in catalyst activity and developing catalyst design principles based on reactivity descriptors. He and his coworkers have contributed extensively to the development of computational methods and models of surface reactivity. Professor Norskov has introduced what is today a standard model of transition metal reactivity and has used it to explain trends in adsorption energies and in the activation energies of elementary processes on transition metal catalysts in terms of variations in the d-band center and other parameters characterizing the properties of surface electrons. Norskov has quantified Brønsted-Evans-Polanyi (BEP) relations and showed how they lead to predictive models that relate catalytic reactivity to adsorption energies of key relevant species. The methods developed for use in heterogeneous catalysis have been successfully transferred into the area of electrocatalysis. Most recently, his research group has introduced the first database of surface chemical properties and developed publicly available software to access and mine thermodynamic and catalytic data on active surfaces, thus opening novel opportunities for discovering trends and for designing new catalysts and catalytic processes. Professor Norskov will present plenary lectures at the 2013 meetings of the North American Catalysis Society in Louisville and at the 2013 Europacat Meeting in Lyon. Published on January 2, 2013 . Posted in Award, News. I am pleased to announce that Professor Christopher W. Jones of the School of Chemical and Biomolecular Engineering at the Georgia Institute of Technology is the recipient of the 2013 Paul H. Emmett Award in Fundamental Catalysis, sponsored by the Grace Catalyst Technologies operating segment of W.R. Grace & Co. and administered by The North American Catalysis Society. The Award consists of a plaque and an honorarium of $5,000. The plaque will be presented during the closing banquet ceremonies at the 2013 North American Meeting of the Catalysis Society. Professor Jones will also present a plenary lecture during this conference. The award recognizes the contributions of Professor Christopher W. Jones to fundamental advances in catalysis at the interface between heterogeneous and homogeneous catalysis. Specifically, his studies of silica and polymer-supported Pd(II) pincer complexes unraveled their behavior in Heck and Suzuki coupling reactions, where the complexes were demonstrated to form soluble ligand-free species that catalyzed traditional Pd(0)-Pd(II) pathways. His group has also developed a family of supported metal-salen complex catalysts for enantioselective reactions, including cooperative epoxide ring-opening reactions and olefin cyclopropanation. This work has focused on the stability and deactivation of these catalysts and clarified degradation pathways, allowing the implementation of stabilization strategies to enhance catalyst turnovers. Published on November 19, 2012 . Posted in News. Paul B. Weisz, 93, former Mobil Senior Scientist and Manager of Mobil’s Central Research Laboratory and an internationally recognized expert in the area of petroleum refining catalysts died on Tuesday, September 25th in State College, PA. Born in Pilsen, Czechoslovakia, he was the son of Alexander and Amalia Weisz. He is survived by his wife, Rhoda A. M. Burg and two children, Ingrid and Randy Weisz. He grew up with an innate desire to become a scientist. Paul published his first article in a ham radio journal at the age of 16. Paul emigrated to the U.S. in 1939 from Berlin, interrupting his graduate studies in pre- World War II Germany to attend Auburn University where he completed his B.S. degree in less than one year. Following his graduation, he worked as a researcher at the Bartol Research Foundation of the Franklin Institute in Swarthmore, PA. He later moved to the Massachusetts Institute of Technology where, as an electronics engineer, he participated in the development of LORAN, a long range radio signal-based aid to navigation. Paul joined Mobil Research and Development Corporation in 1946 as a Research Associate at Mobil’s Paulsboro, NJ research laboratory. He progressed through a number of technical assignments, reaching the position of Senior Scientist, the highest technical position in Mobil in 1961. He managed Mobil’s Exploratory Process Research organization from 1967 until 1969 and its Central Research Laboratory in Princeton, NJ from 1969 through 1982. Paul retired from Mobil in 1984. Shortly after joining Mobil, Paul became interested in the subject of diffusion and catalysis. This was the foundation for a lifelong interest in porous materials as catalysts and specifically in crystalline hydrous aluminosilicates known as zeolites. Along with several Mobil collaborators, he pioneered the use of natural and synthetic zeolites as catalysts for petroleum refining and petrochemical manufacture. These zeolite catalysts eventually revolutionized many refining processes because they facilitated only certain reactions between molecules having specific dimensions. In 1960, Paul published a ground-breaking paper co-authored with Vince Frilette, another Mobil scientist. This became the foundation of “shape-selective catalysis” concept, and also one of Paul’s widely cited papers (J. Phys. Chem., 64, 382 (1960)). Processes based on Paul’s concept of shape-selective catalysis were first commercialized in the early 1960’s. Throughout the 1970’s and 1980’s Paul was closely associated with Mobil’s development of new catalytic materials and the processes that were developed around them. While working at Mobil, Paul took a sabbatical in 1964 to earn his doctoral degree from the Eidgenossische Technische Hochschule (ETH) in Zurich, Switzerland in 1966. His doctoral research thesis was based on an analysis of the permeation of dyes into fibers. His analysis was the foundation for some of the fundamental laws associated with diffusion of dye molecules into fibers. One of Paul’s formidable strengths was his ability to communicate complex theories succinctly. He was a constant contributor to the ACS publication ChemTech throughout the 70’s and 80’s where he continued to enlighten and delight readers with his insightful observations of how phenomena like diffusion and kinetics applied to everyday life. His 1962 article with J. S. Hicks, entitled “The Behavior of Porous Catalyst Particles in View of Internal Mass and Heat Diffusion Effects,” Chem. Eng. Sci. 17, 265 (1962) was selected as one of the 50 most influential articles in Chemical Engineering Science in the publication’s 1995 “Frontiers in Chemical Engineering Science” commemorative edition. After he retired from Mobil in 1984, he began a third, highly productive career, applying chemical and physical principles to biomedical research first at the University of Pennsylvania an then at Penn State. Working with Dr. Madeleine Jouille at U. Penn he synthesized molecules that mimic some of the healing properties of heparin, but that do not exhibit heparin’s potentially dangerous side effects. For his numerous industrial research accomplishments and contributions to the science of catalysis, Paul earned many awards including: The E. V. Murphree Award in Industrial Chemistry from the American Chemical Society (1972), The Pioneer Award from the American Institute of Chemists (1974), The Leo Friend Award of the American Chemical Society (1977), the R. H. Wilhelm Award from the American Institute of Chemical Engineers (1978), the Lavosier Medal from the Societe Chemique de France (1983), The Langmuir Distinguished Lecturer Award from the American Chemical Society (1983), the Perkin Medal, from the American Section of the Society of Chemical Industry (1985), The Carothers Award from the American Chemical Society (1987), and the National Medal of Technology from President George H. Bush in 1992. He was elected to the National Academy of Engineering, one of the highest honors for an engineer, in 1977 and received an Honorary Doctorate (Sc.D. in technological science) from the Swiss Federal Institute of Technology in 1980. Beginning in the early 1950’s Paul’s work at Mobil Oil with collaborators including N. Y. Chen, Vince Frilette, John McCullough, Dwight Prater, Jack Wise, Al Schwartz, Heinz Heineman, Fritz Smith, and others helped set the foundations for zeolite catalysis. His seminal work in the use of natural zeolites as highly shape-selective conversion catalysts set the stage for 50+ years of highly productive process research and revolutionized the refining and petrochemical industries. Paul’s ninety-one issued U.S. patents and more than 180 journal publications cover topics ranging from carbonaceous deposits on catalysts to chemical agents that impact the diffusion of drugs in human cells. Paul Weisz leaves behind a very rich scientific and technical legacy that has greatly impacted our academic and industrial catalysis research communities. His work continues to inspire chemists and chemical engineers working in the area of catalysis and biomaterials. Published on October 12, 2012 . Posted in News and tagged Obituary. Giuseppe Bellussi, Senior Vice President, Research and Development, for ENI Refining & Marketing is the recipient of the 2013 Eugene J. Houdry Award of the North American Catalysis Society. The Eugene J. Houdry Award in Applied Catalysis is sponsored by Clariant. It is administered by The Catalysis Society and awarded biennially in odd-numbered years. This award recognizes and encourages individual contributions in the field of catalysis with emphasis on the development of new and improved catalysts and processes representing outstanding advances in their useful application. The award consists of a plaque and a prize of $5,000, which will be presented at the 23rd North American Meeting of the Catalysis Society to be held in Louisville, Kentucky on June 2-7, 2013. The Award Plenary lecture will also be presented during this meeting. The 2013 Eugene J. Houdry Award recognizes Giuseppe Bellussi for his important contributions to the development of several key processes in petrochemicals and refining through research in new catalytic materials, in fundamental understanding of underlying catalytic phenomena, and in enabling engineering concepts for catalytic processes. Dr. Bellussi joined the Eni Company in 1981. Since then, he has been engaged in research and development of new technologies with broad impact in refining, petrochemicals, and exploration-production. His specific contributions have focused on heterogeneous catalysis, with specific emphasis on the science and technology of zeolite catalysts. These contributions have ranged from selective oxidation reactions to acid catalysis with broad applications to natural gas conversion, the upgrading of heavy residues, and the synthesis of new structured materials. Many of these achievements have contributed to industrial applications, such as in oxidations with hydrogen peroxide on titanium-silicalite (TS-1) catalysts for the production of di-phenols, cyclohexanone oxime and propylene oxide and the alkylation of benzene by light olefins to ethylbenzene or cumene on Beta-zeolites. Most recently, Dr. Bellussi has been involved in the development of a gas-to-liquids technology based on Fischer-Tropsch synthesis in slurry phase reactor and of the EST (Eni Slurry Technology) for upgrading of heavy oils to clean high-quality distillates without concurrent formation of coke and other by-products. He has been recognized for these contributions with the 1994 Don Breck Award of the International Zeolite Association, which he shared with Eni colleagues for the development of TS-1-based catalysts, the 2003 Johnson Matthey Award for innovation in catalysis, the 2007 International Zeolite Association Award for seminal contributions to the science and applications of zeolites, and the 2008 “Prof. P. Pino” Gold Medal from the Industrial Chemistry Division of Italian Chemical Society. Since 2010, Dr. Bellussi has been the President of the International Zeolite Association. Published on October 1, 2012 . Posted in Award, News. Professor José M. Parera passed away on September 10, 2012. 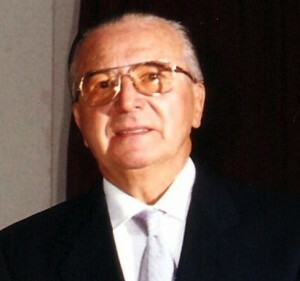 Professor José M. Parera was born in Argentina in 1930. He graduated as Chemical Engineer at the School of Chemical Engineering, Universidad Nacional del Litoral (UNL) in Santa Fe, Argentina in 1958 as the top-ranked graduate of the Department. He was then granted a National Research Council (CONICET) scholarship to study at Imperial College in London, where he started his work on heterogeneous catalysis. In his long, fruitful career, he was Founder and Director of Institute of Catalysis and Petrochemistry (INCAPE) of Santa Fe, Argentina and a pioneer throughout Latin America in teaching and research in the field of heterogeneous catalysis. He served as a member of the Editorial Board of several international journals in that field, such as Catalysis Reviews Science and Engineering, Applied Catalysis, Latin American Applied Research and Journal of Chemical Technology and Biotechnology. He received many awards and retired as Honorary Professor of the Universidad Nacional del Litoral. Published on September 25, 2012 . Posted in News and tagged Obituary. Professor Krijn de Jong (Utrecht University, The Netherlands) has been chosen as the recipient of the 2013 Award for Excellence in Natural Gas Conversion. The Award is presented every three years during the International Natural Gas Conversion Symposium to recognize enduring and significant contributions to science and technology for conversion of natural gas to valuable products. The previous award recipients are Jack Lunsford (1993), Jens Rostrup-Nielsen (1998), Lanny Schmidt (2001), Enrique Iglesia (2004), David Trimm (2007) and Anders Holmen (2010). Professor Krijn de Jong is recognized for consistently making noteworthy contributions to the field of natural gas conversion and the development of technologies that are likely to play an important role in meeting the world’s chemical and fuel requirements in the years ahead. These contributions are based on a powerful combination of scientific excellence, originality and societal relevance. In particular he has made eminent contributions to the synthesis, structural characterization, fundamental understanding and utilization of solid catalysts for the conversion of natural gas to fuels and chemicals. As specific highlights we mention his research on cobalt particle size effects for the Fischer Tropsch synthesis and supported iron nanoparticles for the direct conversion of synthesis gas to lower olefins. In addition, Professor Krijn De Jong has been a leading figure both nationally and internationally in his field of catalysis and chemistry, via chair and board membership roles in conferences, program committees, advisory councils, professional associations and editorial board roles for top-notch international scientific journals and book series. Last but not least, De Jong is also recognized for being an inspirational and driven teacher, using his didactic talent to equip a younger generation for creating contributions themselves to technology development in natural gas conversion and other areas. The award consists of a plague and a monetary prize, which will be presented at the 10th Natural Gas Conversion Symposium to be held in Doha, Qatar (March 2-7 2013). Professor Krijn de Jong will also give the Award Plenary Lecture during this meeting. Published on September 20, 2012 . Posted in Award, News.